Mark S. Brown, MD is a board certified ophthalmologist and a member of ASOPRS (American Society of Ophthalmic Plastic & Reconstructive Surgeons) fellowship-trained surgeon with offices in Mobile, Alabama and Biloxi Mississippi. His specialty of Eye Plastics or Oculoplastics is a sub specialty of Ophthalmology, requiring training in both plastic & reconstructive surgery and ophthalmology. Trained in Chicago Illinois, (with Dr. Allen Putterman) in association with the University of Illinois. 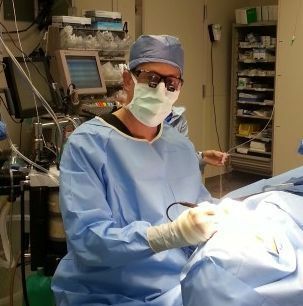 Dr. Brown completed a residency in ophthalmology at New York University, medical training at Tufts University School of Medicine, and undergraduate education at Harvard College.